If you want to enter Russia as a tourist, a holidaymaker, a visitor, a businessman or a backpacker, you will probably need a valid tourist or business visa stamped in your passport. Whether you need it or not depends on your nationality, therefore you should ALWAYS check with a consular section of the nearest Russian embassy. You might look for entry requirements to Russia in various online forums and online travel agencies but beware that only Russian authorities can provide you with actual visa requirements and statuses. 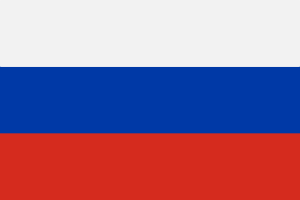 As a rule of thumb, there is one special document that you will need to obtain before you can apply for your proper Russian visa. It is called a Tourist (Business) Voucher or Invitation letter and any Russian embassy will need to see this. The document has two parts: a voucher and an acceptance confirmation. The only way you can get it is through a registered and licensed travel agency or a tour operator in Russia. Our partner for Russian tourist and business vouchers is International Visa, based in Moscow and registered under number MBT 011 033. As we only specialize in simple tourist and business vouchers (for 1 or 2 entries, 90 day visas) we can provide you with a tourist voucher almost immediately for a very reasonable price of only EUR 25. Pick the correct tourist or business voucher order. Fill out the form according to your passport data and your intended travel itinerary. Please note that all information in the voucher should later match with the information you submit in your Russian visa application. After you submit the form, you will get an email notification of your order and also you will be redirected to Paypal for payment (credit and debit card payment also available). As soon as we receive the payment from you we start working. We send you a printable version of your voucher in the email within few hours. If you have questions please proceed to Frequently asked questions. You can also fill in the form in German.